This Hawaiian home is designed as several pavilions set in a lush tropical landscape. Inspired by the vernacular architecture of the Polynesian Islands, the majority of the living spaces are on the upper floors, providing inhabitants with a prospect of the ocean and refuge from the elements. 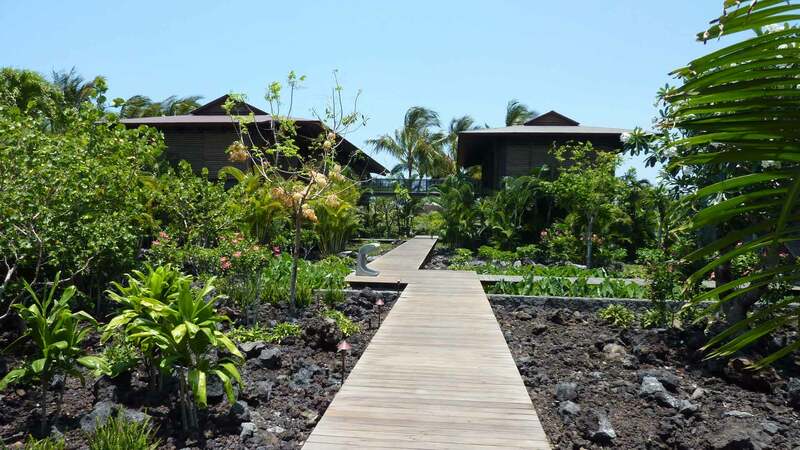 On the ground floor, lava stone is used to visually anchor the buildings to the site and the broader landscape while referencing traditional island building. The structures feature exposed timber frames. Movable wooden louver screens and six 6’ x 15’ operable roof flaps combine to form part of the natural ventilation and sun shading strategies. ...Primack and Kundig cite their faith in Jim Dow, the Seattle-based contractor who installed his team on both sites for the duration of construction..."We were kind of galloping from day one," Primack recalls. "And that trust makes it easy to work quickly."